Fraser Valley – Weird Al Yankovic is back to playing the hits and classics for this tour, with his usual big production – costumes, props, video wall – supported by his band, background singers, and… a full symphony orchestra! Three nights in August, 19th in Vancouver, 21st in Victoria and 22nd in Abbotsford. The Grammy winning composer, accordionist, satirist and all around wacky talent got his start performing in LA on the old Doctor Demento Radio Show that was syndicated throughout North America in the early 80’s. And he and his band do not lip sync. He is fun to watch! 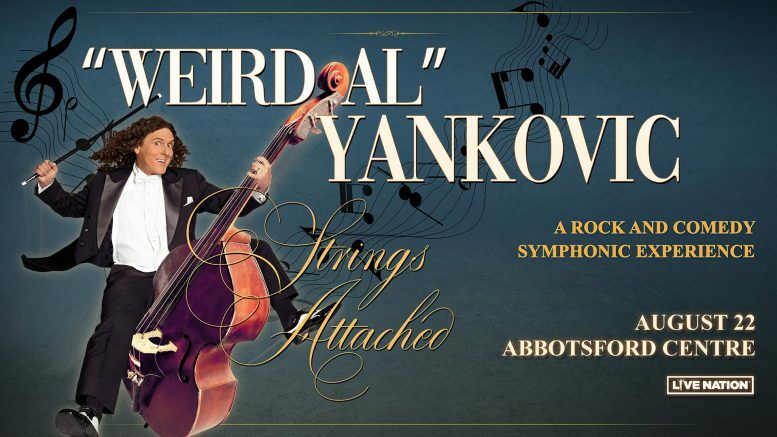 Be the first to comment on "Weird Al In Abby – August 22 – Abbotsford Centre – Tickets Now On Sale (VIDEO)"